St George on horse with lance. Here is Ian as St. George, clad in 15th Century plate armour on his caparisoned horse, leading a parade on St George’s day 23 April for Norfolk Scouts & Cubs.. 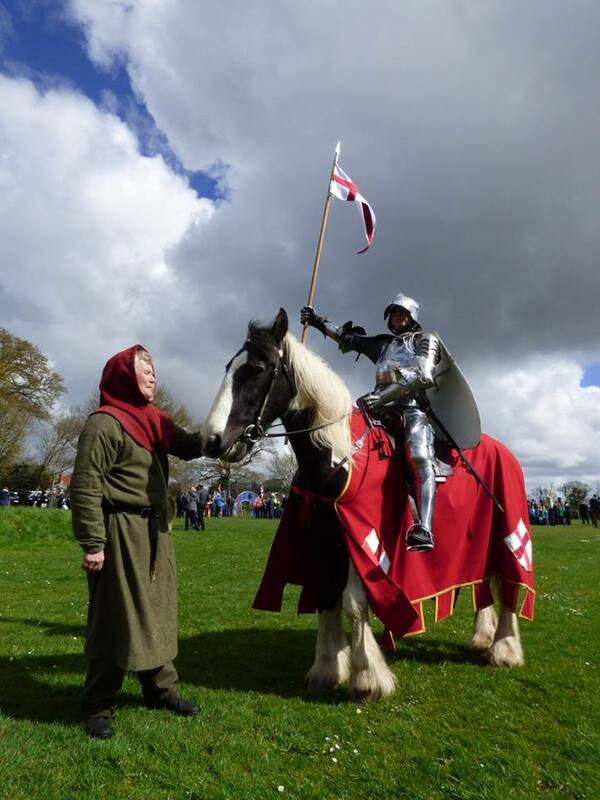 The horse is handled by his faithful squire Owen.